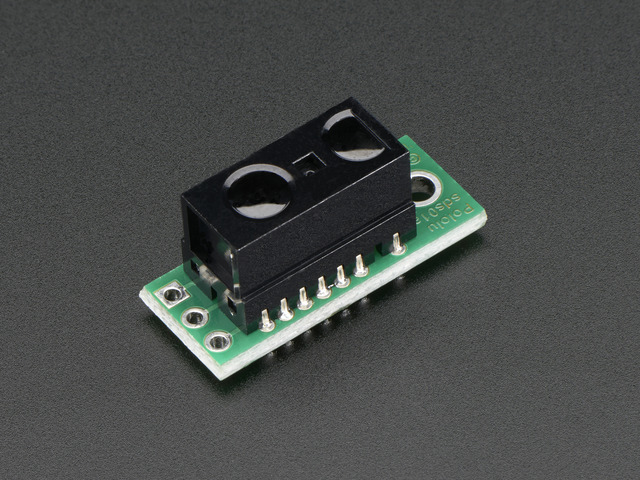 The wiring and assembly is pretty easy, and there is no soldering required. All you need is that handy screwdriver that was included in the AdaBox, and it wouldn't hurt to grab some pliers. You will also need 4 x AA batteries and a micro usb cable to charge the included LiPo battery and upload code to the BLE Feather board. First off, click the button below for the robot chassis assembly guide. All the parts needed for this are inside the brown box with the 'Custom Black 2WD Robot + extra layer' sticker on it. You can stop at the point of the guide where it has you add in the top layer of the robot. We will be making some slight modifications here. Once you have gotten this far, come back to this guide to continue. 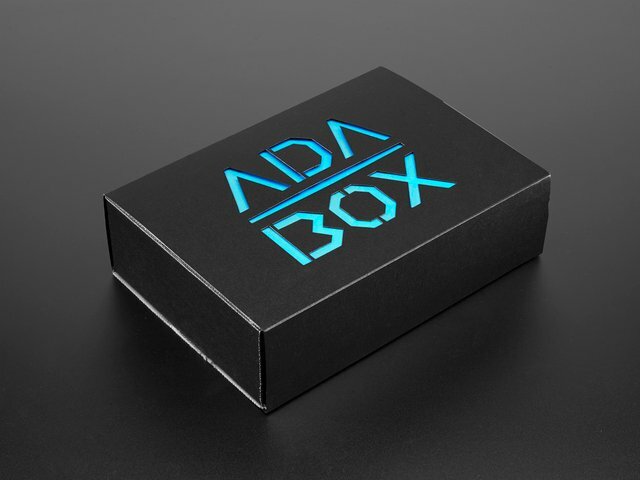 For this step, you will need the battery box, 4 x AA batteries (these are not in your AdaBox, but in the outer box that the AdaBox was shipped in), the screwdriver, and the sheet of 4 rubber bumpers. 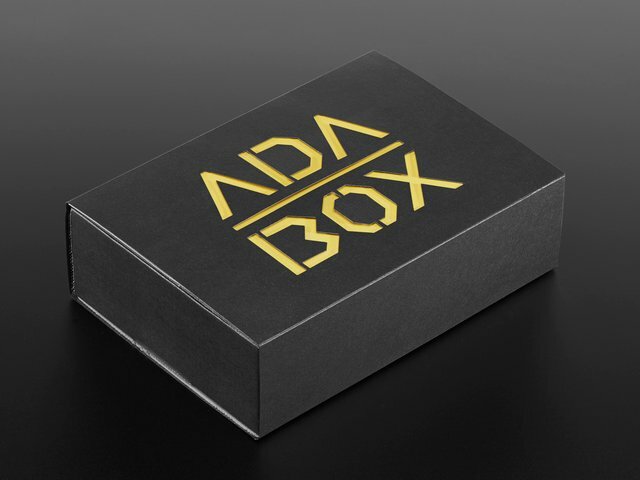 The 4 x AA batteries were added to the outer box that your AdaBox was shipped in. First, open the battery box, grab out the screw, insert your batteries, and then screw the box shut. Oh, and make sure you have the box switched to the off position. Now, take the 4 rubber bumpers and place them as shown in the picture below. Notice how the one bumper on the left side is not in the upper left corner. Important: don't throw away the leftover piece of bumper material, we are going to use that on the next step. Remember how I told you that you can stop when you get to the part where you assemble the top layer of your robot in the chassis assembly guide? Well, in this step we are going to change the location of where we put some of the posts to make room for our AA battery box. Tip: it may be easier to use the flat side of the screwdriver to screw in the stand-off screws. Notice the battery box is lined up on the left side of the middle chassis plate. It should be just in-between the upper left stand-off and the lower left stand-off (not touching either). This will make sure the on-off switch lines up just right in the hole of the top plate. Go ahead and install the top plate now. See how the on-off switch is now accessible through the top plate? Now let's take just a minute to route the wires from the motors and the battery box through the chassis like shown in the image below. We are getting close! Now let's install the breadboard on top of the robot. Peel off the backing from the foam sticker on the bottom of the breadboard. Take a look at the image below and stick it exactly as shown. Be sure to install the breadboard just as shown in the image below and not sideways or the motor wires won't reach the motor driver Feather Wing. For this next step, you will need a set of pliers. First, grab the 6 header pins all attached together and break them into 3 sets of 2 header pins. Then, grab them in the pliers like shown here, and then slightly bend them so they look like the next picture. 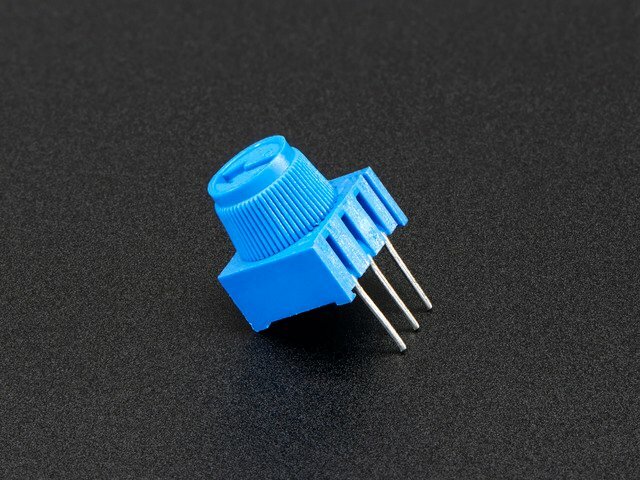 With the breadboard in place, go ahead and grab your stacked Bluefruit Feather, and Motor Driver Feather Wing and install it in the breadboard with the USB port facing away from the wires like shown in the image below. Then use your screwdriver and install the bent header pins like shown in the image. Finally, attach the motor wires and power wires as shown in the image. It is important that you have the red and black wires in the correct position. Please reference the image below and triple check that they are installed correctly. This guide was first published on Dec 13, 2016. It was last updated on Dec 13, 2016. This page (Assembling and Wiring Your Robot) was last updated on Apr 19, 2019.